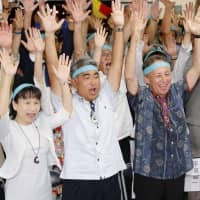 A decade ago, the Japanese government launched a program that allows taxpayers to make “donations” to smaller cities and towns across the country, and then have those contributions deducted from national and municipal taxes. 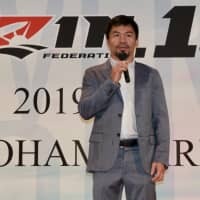 A Tokyo resident like myself, for example, can give ¥10,000 to the city of Iwamizawa, Hokkaido, and have my taxes reduced by ¥10,000 over the following year. Now, not everyone is itching to fork over cash to a shrinking city in the countryside, which spurred local municipalities like Iwamizawa to begin offering gifts as incentives to do so. 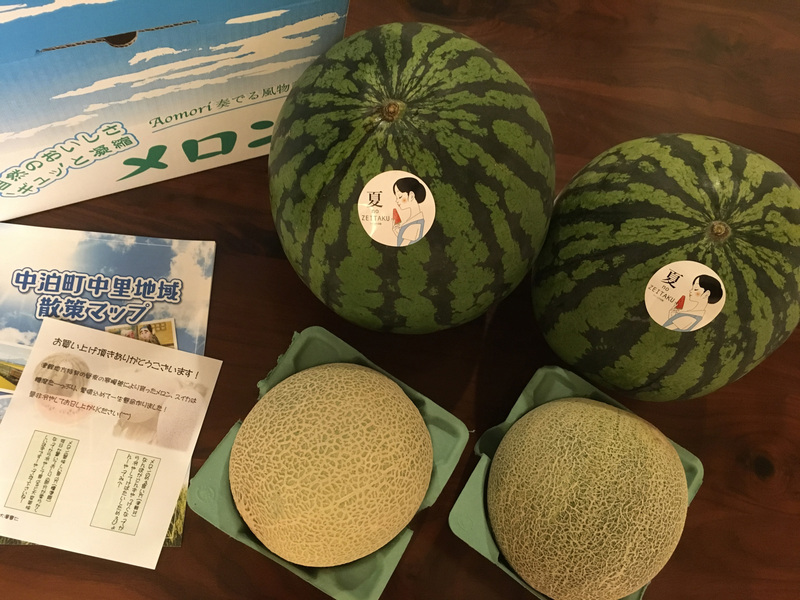 This donation-for-gifts strategy has helped the program balloon to nearly ¥300 billion in annual donations that are being used to redirect taxes and stimulate local economies. The program is known as furusato nōzei, or “hometown taxation.” The gifts are often goods produced or services offered in the town receiving the donation. Potential donors can spend weeks examining the thousands of gifts on offer to determine how to maximize a donation in order to get the most for their yen. Believe me, I have. And after receiving and reviewing about 50 of those gifts over the past year, I’m here to report on the experience. Isn’t Yona Yona brewed in Nagano Prefecture? It certainly is. The Ministry of Internal Affairs and Communications has encouraged local municipalities to provide only regionally produced gifts and to keep their value to below 30 percent of the donation. So if you can get a gift with a value in excess of 30 percent of your donation, you are doing well. One can of Yona Yona beer sells for ¥238 at my local supermarket, so 24 cans would have a value of ¥5,712, or more than 57 percent of the donation. But with the government now moving to clamp down on cities like Izumisano, yields of 57 percent might soon be a thing of the past. I have received two 5-kg boxes of mikan (Mandarin oranges) over the past year, one from Saga Prefecture and another from Ehime Prefecture. 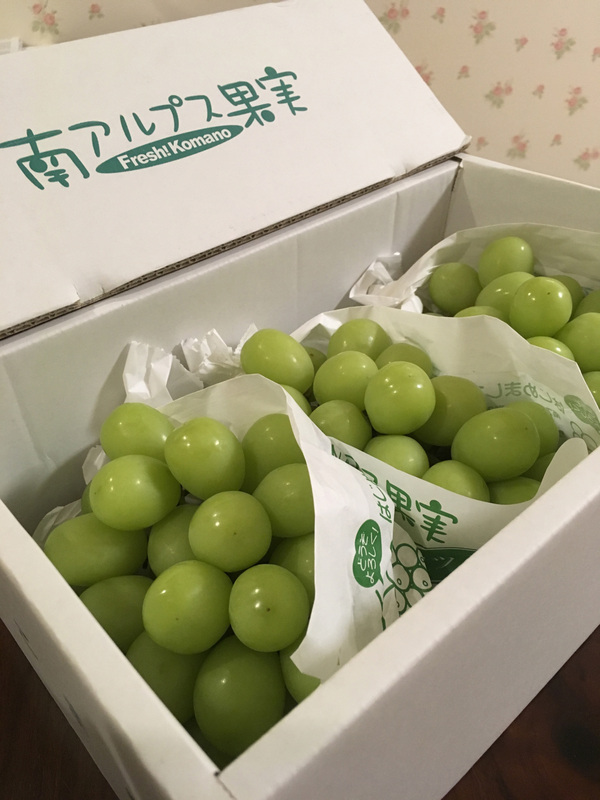 Now, many Japanese will tell you that the best mikan come from Ehime Prefecture. In this case, however, I found the ones from Saga to be far better. They were smaller, and each released a sweet burst of juicy goodness when bitten into. We counted 129 in the box, which would be a mikan a day for a family of four for an entire month. The boxes came from Tara, a shrinking coastal community whose residents refer to it as “the town where the moon’s gravity is visible” — a slogan that sounds better in Japanese. I estimated the value of 5 kg of mikan to be around ¥2,500. How is an order for 10 deliveries of bread processed? Well, the 40-year-old Kansuke Bakery in Hokkaido sent us 10 stamped postcards that we could return anytime during the year for an assortment of freshly baked bread items made solely from locally sourced wheat. So about once a month, I would mail one of the postcards and the bread would arrive by frozen shipping four to 12 days later. Three different batches of bread items may be selected, and each batch sells for ¥3,240 for an impressive return exceeding 30 percent. Gifts of one or more deliveries are currently possible for donations of ¥10,000 per delivery. Yamagata Prefecture is known for the quality of its fruit, and I can always go for a refreshing fruit jelly, particularly one that has visible chunks of fruit in it. Of the four flavors in this gift, though, only the cherry jellies actually contained any sizeable fruit — in this case, a whole cherry. The apple basically looked and tasted like a high quality applesauce. The pear? Well, pear sauce. And the peach? You guessed it, peach sauce. I found the item being sold on the internet for ¥2,700 for eight cups. That’s nearly ¥340 a cup, which would give us an impressive 32 percent return. But ¥340 seems mighty pricey for a small cup of fruit sauce, don’t you think? According to the furusato nōzei product rankings, the most sought-after gift is meat — particularly wagyu beef, which I’ve happily purchased. But of all the beef, pork and chicken that I have received, one gift has stood out: the beef stew from Zushi. The stew arrived frozen in three plastic containers, each capable of providing a full serving. Before its arrival I had expected the stew to be mostly filled with cheaper, space-filling potatoes — but not one potato was included. Instead, I got a few carrots and onions together with a generous helping of prized melt-in-your-mouth Matsusaka and Hayama wagyu in a sauce deserving of a few slices of freshly baked French bread to sop it all up. This is some of the best beef stew that I have ever had. This restaurant was a good 15-minute walk from a station about 45 minutes outside central Tokyo. The restaurant’s reception, atmosphere and food were satisfying. The owner was engaging and talked about using local ingredients. I ordered a ¥600 beer to go with a course meal that peaked with a lovely wagyu steak. The steak was oddly followed by an okonomiyaki pancake and a small dessert. At the end, a check arrived totaling ¥1,800. I asked about the amount and was told that, in addition to the beer, it included a ¥600 per person seating charge. Apparently sensing the shock in the smiles of my companion and me, the waitress and owner convened to the other side of the restaurant for a little powwow, and suddenly decided to drop the seat charge. This is an exceptional example of the folly of disregarding the peak-end rule, which theorizes that we judge our experiences based on peaks and endings. In this case, an almost trivial unwritten charge of ¥1,200 was perceived by me to be inappropriate, and perhaps even a bit unmannerly, particularly after we had directed ¥50,000 to the city for dinner vouchers and made an appreciable effort to travel all the way out to this place. A satisfying meal thus ended on a slightly sour note, tainting our memories of the evening and reducing the likelihood of a return. I would have thought that the purpose of the voucher would have been to introduce new customers to a fresh dining option and then to use the visit to encourage a return. This one was unfortunately bungled. A few months later, we used a voucher at a French restaurant in Kamakura, Kanagawa Prefecture, which provided an excellent multicourse dinner — together with starter drinks, I might add — without any violation of the peak-end rule. And the cost of that voucher was ¥20,000 less. I wouldn’t mind returning there. I love fresh fruit, and over the past year I have received in-season locally grown persimmons, pears, strawberries, passionfruit, cherries, peaches, plums, cantaloupes, watermelons, honeydews and grapes — all of exceptional quality. We even picked up a voucher to pick plump blueberries out on the Miura Peninsula. Most of the fruit far exceeded the quality that I would typically purchase, and was thus a real treat. The item deemed most impressive would probably be a peach, plum and grape assortment from Minami Alps City, Yamanashi Prefecture. 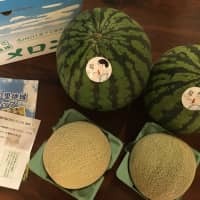 Each fruit in this assortment arrived separately at the peak of freshness for a donation of ¥50,000, allowing me to try that plush fruit that I often see displayed but never buy. On the value side, a donation of ¥10,000 to Kashiwazaki, Niigata Prefecture, for 26 beautiful persimmons that usually sell for ¥80-¥100 each, generated a return of 16 to 26 percent. If I’m being honest, I find the entire furusato nōzei program to be economic lunacy — an inefficient system that clearly favors the wealthy, widens economic inequality between high- and low-income earners, has a detrimental effect on market mechanisms, and results in greater trucking and associated emissions. Contributors are often given a choice of how the donation is to be used, and two options that I repeatedly saw were: 1) a local fireworks festival, and 2) increased security. 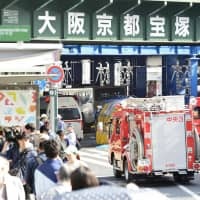 Both of these made me wonder: Are pyrotechnics and greater policing Japan’s answer to shrinking communities? I never once saw an option even hinting at innovation or entrepreneurial endeavors. On the other hand, we can also question how wisely our taxes are being used in large cities such as Tokyo. The word I often hear the Japanese use to describe the furusato nōzei program is “mendōkusai,” or troublesome, and they’re not wrong. But it is what it is, and if it seems like something you’d like to explore, go for it. Find more information on the furusato nōzei program, visit en.furumaru.jp.